Makeup and Beauty Treasure: Ethnic Drop Earrings!!! If you know me well, you would know I am obsessed with jewelries. I have a huge collection of all kinds of jewelries and today I am going to show you one of my favorite pair of earrings that I bought last year! I have been wearing it with all my ethnic outfits and believe me, I get tonnes of compliments each time I wear it! The cost of these earrings is Rs 4000 approx and I got it on discount for Rs 2000 approx! It is currently not available online but I will update the post as soon as I shall find one! 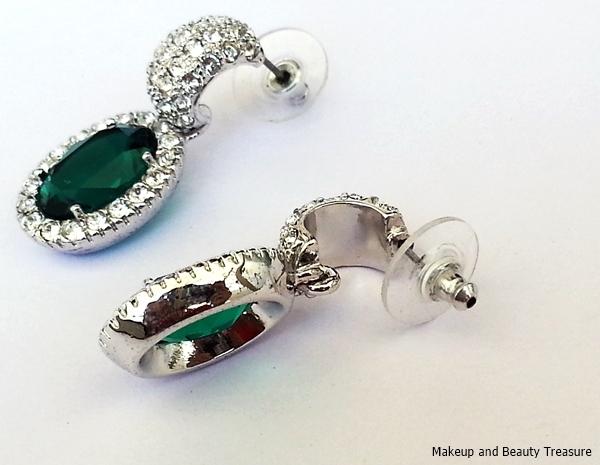 The crystals in the earrings are Austrian crystals and of very high quality. It's been a year since I am using it and they are as new as they were on the first day! They are rhodium plated and made of brass! The green color matches almost all colors and this has been my staple pair earrings that I love to pair with almost all my ethnic outfits! 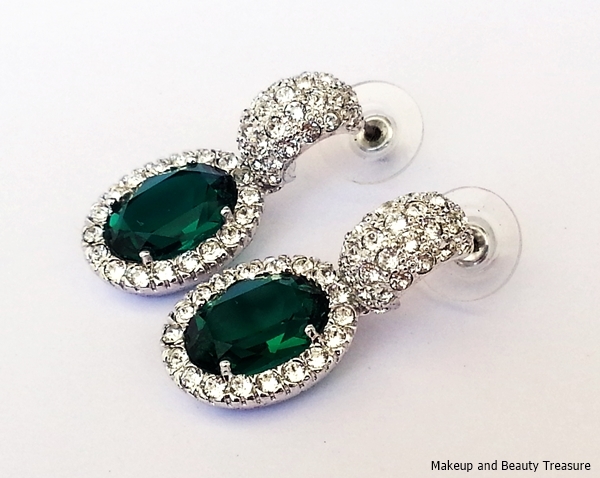 Drop earrings suits all face shapes and I love how beautifully the green crystal hangs! 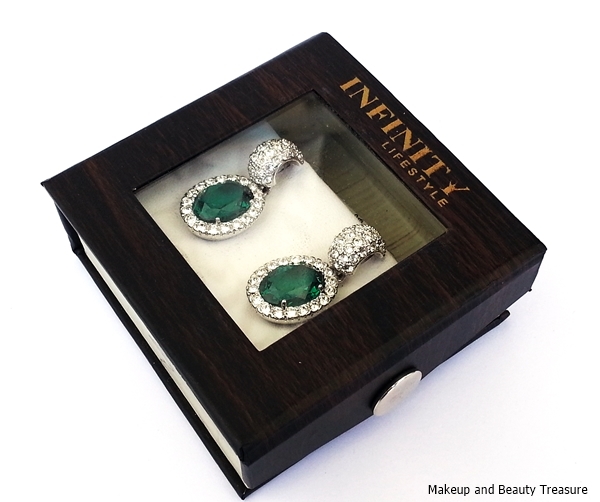 These earrings are from the Infinity brand that you can find in various malls of big cities! Do you love crystal jewelries? I shall definitely update it. Also mail me your mail. i will update you personally with the link if its available online! It looks super gorgeous in person! This erring is very pretty,.. Pretty earrings. I love the emerald it looks absolutely stunning. 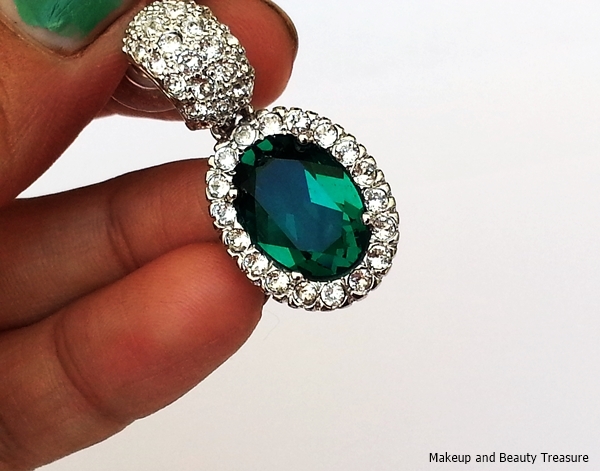 Emerald green never goes wrong!